It is with sadness and urgency that I share the news of recent, devastating flooding at MacMurray College. On behalf of our students, faculty, and staff, I ask for your prayers and for your support. The MacMurray family has a strong history of support from our United Methodist community, and we need your assistance now. On the evening of June 17 and into the morning of June 18, a series of thunderstorms ripped through Jacksonville, producing rampant flooding and widespread damage to the south end of our beloved campus. All south campus dormitories were flooded. Student rooms in the basement of Norris House had water reaching seven feet high! Our newly renovated Facilities Operations offices were severely flooded, and College vehicles parked nearby were lost due to flooding. The Jenkins Education Complex which houses all major indoor athletic facilities suffered the most devastating damage. The Bill Wall Gymnasium floor is being removed and needs to be completely replaced, along with workout equipment, team uniforms, and athletic training supplies. There is damage to our athletic fields and to Julian Hall. Regional rainfall seeking displacement fed streams and coupled with local rainfall to produce our extensive flooding. As a result of this disaster, we need your help. The full scope of the damage will not be valuated for weeks. Initial estimates of the flooding loss are in millions of dollars, and much of the cost of this disaster may not be covered by insurance. We will provide updated information as the college and our insurance provider agree upon coverage, deductible information, and the resulting shortfall. Thankfully no one was injured during the flooding. Necessary repair and replacement costs will require additional support beyond what we expect insurance to cover. We will be ready for fall classes. Since 1846, when the Illinois Conference of the Methodist Episcopal Church established the Illinois Conference Female Academy in Jacksonville, we have been educating future leaders in the UMC tradition. Our early founders were comprised of devout and erudite clergymen, Peter Cartwright and Peter Akers, as well as several of Jacksonville’s prominent men. 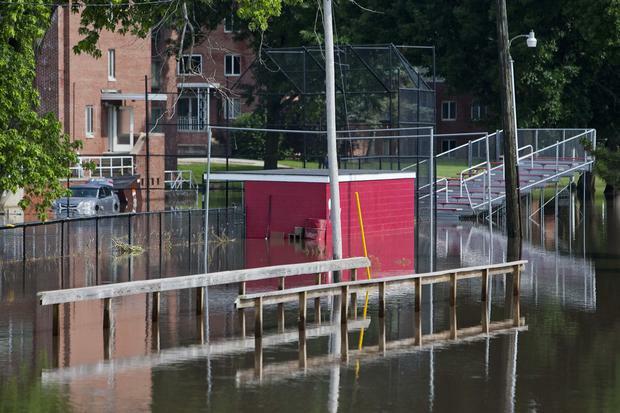 Please consider making a contribution to the MacMurray College Flood Relief Fund today. Make it possible for current and future students to continue receiving a quality, career-directed, liberal arts education in the United Methodist tradition at MacMurray. Help us turn this devastation into a new beginning. You can donate directly online at www.mac.edu by clicking on the Give Back to Mac button and noting the MacMurray College Flood Relief Fund as your designation or by mailing a gift to the Office of Institutional Advancement, 447 East College Avenue, Jacksonville, IL 62650 or calling at (217) 479-7024.